Download Money Savings Coupons Here! 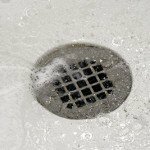 Grease and scum are the biggest obstacles to a free-flowing drain. They stick to the walls of the pipes and grab other materials—food particles, hair, small foreign objects—that slip down the drain without notice. Eventually that buildup, or an obstruction, interferes with the free flow of water down the drain. Most of us have occasionally taken a deep breath and grabbed the plunger, hoping that we can unclog a toilet ourselves. Happily, a properly wielded plunger does resolve most clogged toilet issues. But when it doesn’t, Atlas Home Services is here to help. 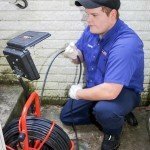 Our professional drain snaking services can clear that obstruction and get your drains running smoothly again. We can also help you avoid more problems down the road. 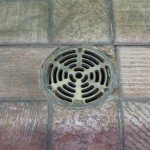 Your basement’s floor drain is a quiet ally in the quest to keep your house free of standing water and mold. It’s your emergency flood control. 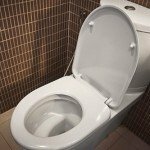 Like all drains, it can become blocked or clogged. When that happens, excess water cannot exit out of your basement and you have a problem on your hands. If your clogged drain doesn’t clear up with a plunger, snaking or water-jetting, or if more than one drain in your home is emptying slowly or even backing up, the obstruction is down the pipeline. 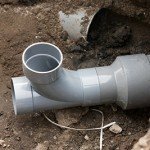 Your sewer main drain may be the culprit, with reduced flow capacity or some kind of blockage. 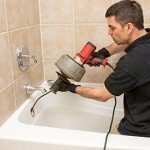 Atlas Home Services can get that main drain moving freely again. Video pipe inspections are now commonly used to determine the location and nature of unseen breaks and blockages, as well as view the general condition of hidden pipes and drains.